A report released by Amnesty International on Thursday reveals that critical voices and dissent were ruthlessly suppressed in Turkey in 2017 and that a state of emergency in the country served as a backdrop for rights violations. Amnesty International Report 2017/18 sheds light on the state of human rights during 2017 in 159 countries. The Turkey section of the report talks about how journalists, political activists and human rights defenders were targeted due to a lack of tolerance for dissenting voices, which diminished further due to a state of emergency that was declared in the aftermath of a failed coup attempt in July 2016. The report said the state of emergency paved the way for unlawful restrictions on human rights and allowed the government to pass laws beyond the effective scrutiny of Parliament and the courts. “Over 50,000 people were in pre-trial detention on charges linked to membership of the ‘Fethullahist Terrorist Organization’ (FETÖ), which the authorities blamed for the 2016 coup attempt. A similar number were released on bail and were subjected to reporting requirements. Only a tiny minority of them were accused of taking part in the actual events of the attempted coup,” said the report. The military coup attempt in Turkey on July 15, 2016 killed 249 people and wounded more than a thousand others. Immediately after the putsch the ruling Justice and Development Party (AKP) government along with President Recep Tayyip Erdoğan pinned the blame on the Gülen movement. Talking about the state of the judiciary in the country, the report said the judiciary, itself decimated by the dismissal or detention of up to a third of Turkey’s judges and prosecutors, remained under extreme political pressure. According to the report, criticism of the government in the broadcast and print media largely disappeared, with dissent mainly confined to Internet-based media. The government continued to use administrative blocking orders, against which there was no effective appeal, routinely, to censor Internet content. The report said more than 100 journalists remained in pre-trial detention in Turkey at the end of 2017 and that journalists from media outlets closed by state of emergency decrees continued to face prosecution, conviction and imprisonment. “Former Taraf editor Ahmet Altan and his brother Mehmet Altan remained in pre-trial detention following their detention in July 2016 on grounds of membership of the Gülen movement, as did 34 media workers who worked for Zaman group newspapers,” said the report. Amnesty’s report also makes mention of how eight human rights defenders including Amnesty International Turkey Director İdil Eser were held in pre-trial detention until a trial on trumped-up charges for “membership of a terrorist organization” based on their work as human rights defenders began in October, and Taner Kılıç, chair of Amnesty International Turkey, still remains in prison due to alleged links to the Gülen movement. Regarding cases of torture and other ill treatment, the report said instances of torture and other ill treatment, especially in police custody, continued to be reported, although at a markedly lower level than in the weeks following the July 2016 coup attempt. “The Turkish authorities continued to deny permission for the European Committee for the Prevention of Torture to publish its report on torture allegations following the coup attempt. There was no effective national preventive mechanism with a mandate for monitoring places of detention. There were no available statistics regarding investigations into allegations of torture. There was no evidence that allegations of torture were being effectively investigated,” the report said. 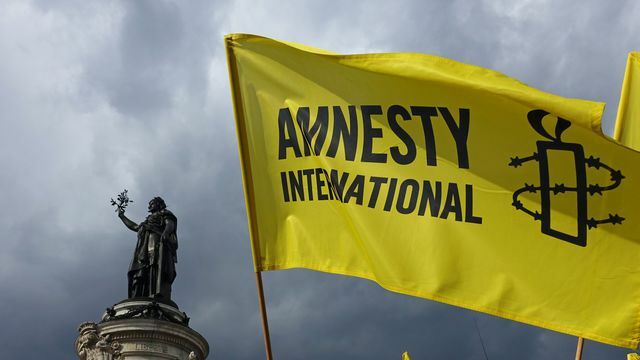 Amnesty’s report also talked about the dismissal of public sector workers for alleged unspecified links to terrorist groups, saying that nearly 20,000 workers were dismissed during the course of 2017, bringing the total number since July 2016 to 107,000. “Many workers were effectively prevented from continuing their professions, and struggled to find other jobs after being branded “terrorists” as a result of their dismissal,” said the report. A seven-person appeals commission to assess the dismissals, which was announced by authorities in January 2017 but was not established until July 2017, at the end of the year had ruled on fewer than 100 of the reported 100,000 appeals submitted to it, said the report.